Body Flows' mission is to inspire people to live their life in greater health and with greater purpose, shifting their state of being and perception of the world through yoga, meditation and other health and wellness practices and teachings. Our mantra, Move, Breathe, Balance, Flow symbolizes Moving our bodies with more ease, Breathing more deeply and more freely, finding more Balance in our lives and in our yoga practice, and discovering our inner playfulness and Flow. Body Flows leads Yoga and Wellness Retreats and Corporate Retreats and Trips in Sonoma Wine Country and exciting travel destinations all over the world. We love working with groups such as companies, bachelorette parties, family reunions and friend gatherings, and customizing your private retreat, selecting activities such as outdoor yoga, mindfulness, meditation, massage, chair massage, natural ChiWalking/ChiRunning technique, guided hikes or runs, Reiki energy healing, nutrition and life coaching and more! Body Flows is also available for onsite yoga, chair massage or other wellness services at your office or private event, and offers therapeutic massage and Reiki energy healing in a beautiful studio in downtown Sonoma, California. We look forward to helping you find your inner flow! Sally Mitchell is the founder and practitioner of Body Flows. Sally's intention in creating Body Flows in 2010 was to share her knowledge and personal experience of the practices that have helped her heal her own body and discover a path of transformation, inner confidence and greater self awareness. Growing up in Scotland, Sally moved to the U.S. in 2000 and spent 16 years working in technology in the corporate world in New York City and San Francisco. Her athletic background led her to begin training and racing as a competitive triathlete and runner while living in NYC, qualifying for Boston marathon and the World Triathlon Championships for olympic and 70.3 distances. As the stress of the competitive corporate and triathlon worlds and the fast paced city life began to take a toll on Sally's body, she suffered from various injuries and health issues, and began to seek help through alternative practices, yoga, meditation and healing. Grateful for her teachers, mentors, colleagues and learnings from the corporate and triathlon worlds, she is now passionate about sharing the teachings and gifts of yoga, meditation and bodywork with her clients, inspiring growth and transformation, as well as creating a community of like-minded friends. Sally is also an essential oil educator and often integrates the healing essential oils during yoga retreat, workshops, meditation and bodywork, particularly for chakra balancing. Sally's yoga and wellness certifications include 200 Hr RYT Yoga Alliance Registered Yoga Teacher, Advanced Raynor Therapeutic Massage, Reiki Energy Healing, ChiRunning and ChiWalking, Iron Yoga and Integrative Nutrition Health Coaching. Blending elements of these practices during Body Flows Yoga and Wellness Retreats and while working with individual clients and corporates, Sally's approach as a leader and teacher is holistic, balanced and grounded. Now living in beautiful Sonoma, California, Sally enjoys practicing and studying yoga, hiking and trail running in nature, traveling, writing, blogging and inspiring others to live a more spiritual and meaningful life. 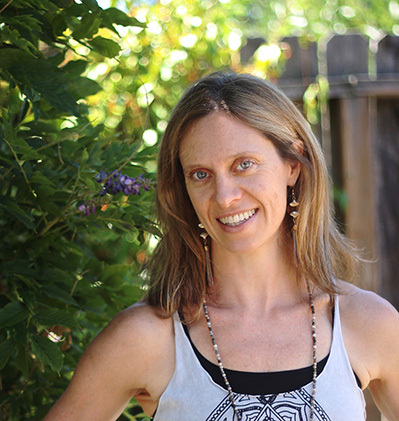 As Leader of the Sonoma Chapter of the Seva Conscious Business Networking Group, Sally enjoys collaborating with, and supporting, other local consciousness business professionals and entrepreneurs. We have a wonderful team of professional and experienced yoga teachers, massage therapists, life and happiness coaches, fitness coaches and inspirational leaders. Read more about our team of instructors and practitioners. Body Flows is thrilled to be featured and highlighted in many well known publications online and printed, including Shape Magazine for Women, CBS Local SF Bay Area, Runner's World, Women's Day, Travel Mag, Culture Trip, SonomaCounty.com, and more. Read articles here. We are so grateful for our business partners who provide services, locations and offerings at our retreats and events, and are helping us grow our business and reach more people. Learn about our business partners here. As part of giving back and providing charitable contributions, Body Flows has chosen to support, volunteer and donate to the following organizations: the Foundation Fighting Blindness, the LightHouse for the Blind and Visually Impaired and the Challenged Athletes Foundation. Body Flows is located in Sonoma, California, in the Sonoma Holistic Center, two blocks from the Sonoma plaza, and leads yoga retreats all over Sonoma county, Mexico, Costa Rica and Hawaii.